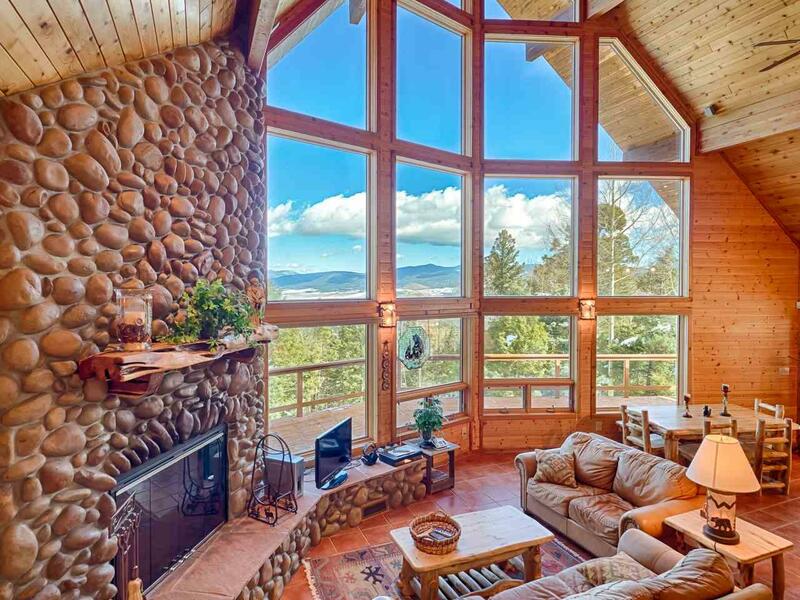 Welcome to your new mountain home - you couldnt pick a nicer property! 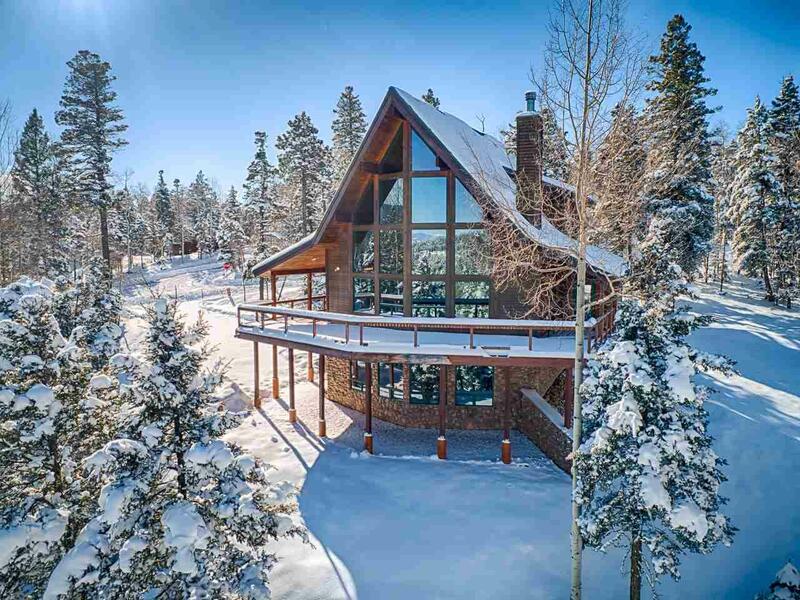 Located on the west side of Moreno Valley, high enough up the mountain for a very private feel yet only a short drive down to the village center and all the adventure Angel Fire has to offer. 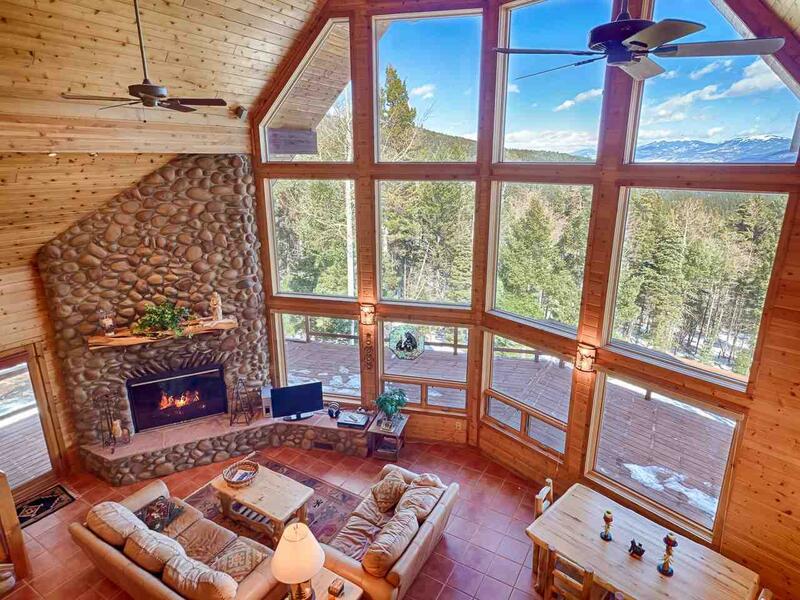 This home is perfectly perched on a wooded 2.57 acre lot that provides amazing views of our high alpine valley, Baldy Mountain, Touch-Me-Not Mountain, and Eagle Nest Lake! 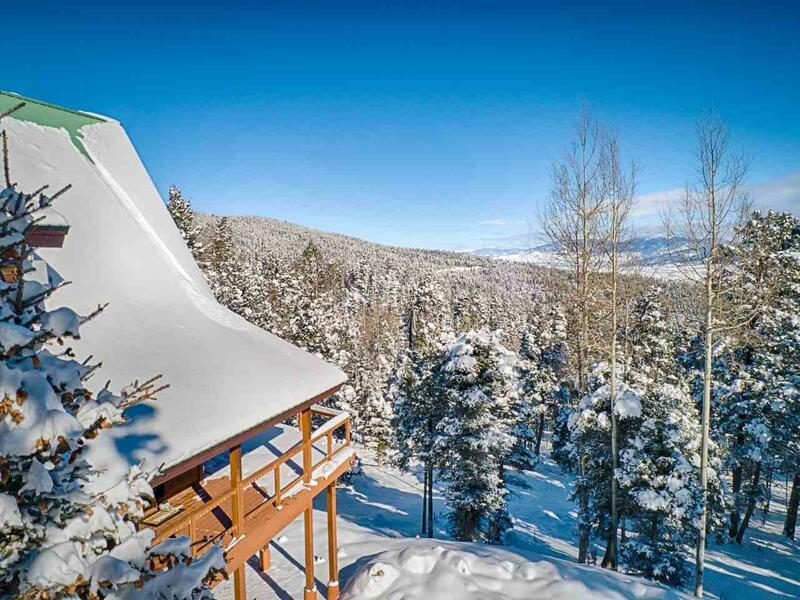 These expansive views can be enjoyed from almost every room in the house as well as the large wrap around deck. Inside, youll find a well-maintained home with a stunning great room featuring a two story window wall, saltillo tile flooring, tongue and groove wood ceilings and a gas fireplace surrounded by river rock and flanked by a flagstone hearth. The kitchen is upgraded with granite countertops, stainless steel appliances, dual ovens and a breakfast bar with more of the rustic river rock. The master bedroom is located the main floor with a large ensuite bath featuring a walk-in closet and a large custom shower with glass blocks. Upstairs contains a loft with an office area, a full bathroom and two guest bedrooms with one of the bedrooms featuring a unique loft / hideout that your kids, or grandkids, will be sure to love. Downstairs features another living area, a bonus room and a home theatre with custom built-ins. This home comes fully furnished and is move in ready.